× SIBO Home Breath Kit – Glucose has successfully been added to the list . You will be Adding SIBO Home Breath Kit – Glucose to the list . Small Intestinal Bacterial Overgrowth (SIBO) occurs when intestinal bacteria overgrow in the small intestine. This overgrowth can lead to excess production of gas and bacterial metabolites, causing symptoms of bloating, flatulent, diarrhea, constipation, and cramping. Recent studies show that up to 78% of individuals diagnosed with irritable bowel syndrome (IBS) have SIBO.1 SIBO can also be present in those with gastrointestinal symptoms who do not have an IBS diagnosis. An at-home SIBO breath test that can help determine the cause of digestive distress. 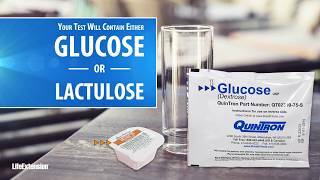 Life Extension offers two options for SIBO testing, a kit containing a glucose solution, and a kit contacting a lactulose solution. Both glucose and lactulose are sugars that bacteria can digest (ferment). The fermentation of these sugars results in the production of hydrogen and/or methane gas. Both of our SIBO tests provide the distinct advantage of measuring both gases, which, when present, may indicate SIBO. Lactulose has the advantage of detecting bacterial overgrowth throughout the small intestine, including the lower end where it most commonly occurs. Humans cannot digest or absorb lactulose, only bacteria have the proper enzymes to do so. Since it is not absorbed, lactulose travels the entire length of the intestine, revealing SIBO at all portions of the intestine.2 Lactulose may be slightly less fermentable than glucose,3 but its ability to traverse the colon outweighs any difference in fermentation. Due to the unique collection kit required for the SIBO breath test, there is a $25 nonrefundable fee for the kit. If a new kit is needed due to collection error, the cost is $25. If this test is not used within 6 months and the kit expires, a replacement kit at a cost of $25 will be incurred. Results take 10 days from when specimen is received. The results for this test can only be received via mail, e-mail, or fax. Ghoshal UC, Srivastava D. Irritable bowel syndrome and small intestinal bacterial overgrowth: Meaningful association or unnecessary hype. World Journal of Gastroenterology: WJG. 2014;20(10):2482-2491. doi:10.3748/wjg.v20.i10.2482. Rezaie A, Buresi M, Lembo A, et al. Hydrogen and Methane-Based Breath Testing in Gastrointestinal Disorders: The North American Consensus. The American Journal of Gastroenterology. 2017;112(5):775-784. doi:10.1038/ajg.2017.46.